L7 at the Fonda Theatre in Hollywood, CA July 16 & 17, 2015 I never got to see L7 the first time around, so I’m making up for lost time. I’m three for three for the recent LA L7 shows (Echo in May and both Fonda shows) and I’m happy to say that they didn’t disappoint and exceeded my high expectations at all shows. They rock so hard and continue to represent the ultimate in attitude and swagger. The Fonda was packed with a diverse audience- all different ages, lots of people seeing them for the first time. 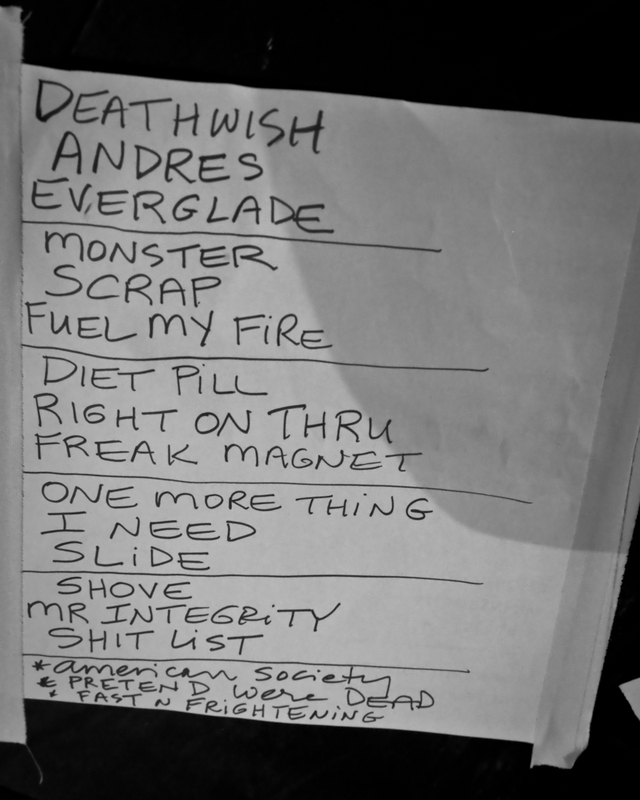 Aside from two of my favorite songs (Baggage and Broomstick), the setlist had everything I’d hoped to hear including Fast and Frightening- a ferocious closer. There was a rad poster at the merch booth commemorating both shows. If you missed getting one, a limited amount are being sold on Garageland’s site. The documentary that seems to have sparked the reunion is scheduled to be released be in October, based on the last kickstarter update I received. In the meantime, another CA show has been added on August 28th at the Regency Ballroom in San Fransisco, plus dates on the Riot Fest and East Coast in the Fall. This entry was posted in concert and tagged concert, dee plakas, donita sparks, fonda theatre, Hollywood, jennifer finch, l7, live, photography, suzi gardner. Bookmark the permalink.